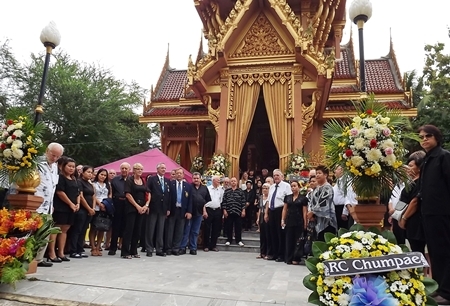 Civic leaders, Rotarians, friends and family members are mourning the death of Stefan Emil Ryser, a former Rotary Club of the Eastern Seaboard president, Swiss chef and Pattaya bar owner. 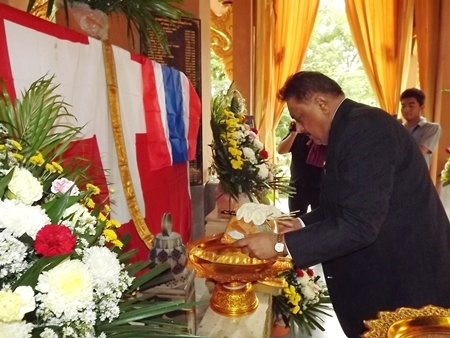 Nongprue Mayor Mai Chaiyanit and Pattaya Deputy Mayor Ronakit Ekasingh were among the guests at Ryser’s May 2 funeral at Nongprue Temple. Ryser, 49, died April 23 after a prolonged battle with cancer. He is survived by his wife, Toy, and his 5-month-old son Nico. 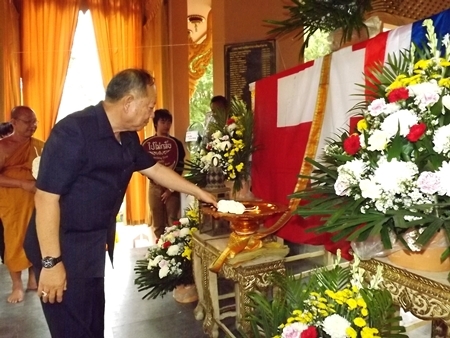 Banglamung Deputy Dean of Monks Phipitkijjarak performs the funeral rites. 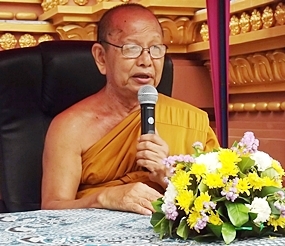 Giving the eulogy at the Buddhist ceremony presided over by Banglamung Deputy Dean of Monks Phipitkijjarak, Nongprue Deputy Mayor Anak Patanangam recalled a litany of achievements, good deeds and self-sacrifice Ryser became renowned for during his many years in Pattaya. Anak called him a pillar of society and good example to today’s youth. 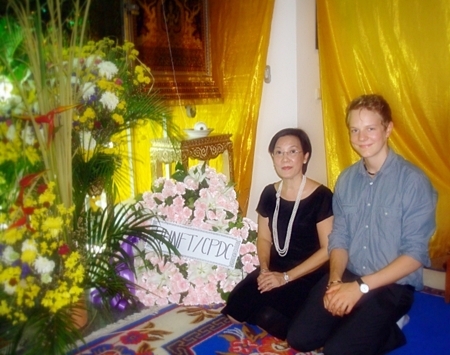 Raised by his sister, Lotti, in Switzerland, Ryser first came to Pattaya while traveling around the world working as a cook for Norwegian Cruise Lines. After a stop in Manila, he settled down in Pattaya in 1989, buying a house in the then jungle-filled East Pattaya and opening The Barrel Bar, which quickly became a meeting point and dining favorite among Pattaya’s Swiss community. During this time, he founded the Sauber F1 club, which helped raise money for disadvantaged children through such avenues as the Jesters Care for Kids campaign. It marked the beginning of what would become a long history of public service. 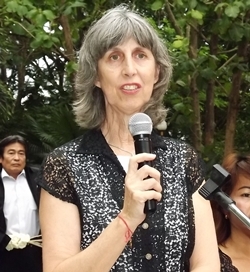 Ryser joined the Rotary Club of Jomtien-Pattaya, then moved on to the Eastern Seaboard club in 2005 where he became known as a go-between in critical debates, leader in creating matching grants and active language teacher using Rotary-created language compact discs. 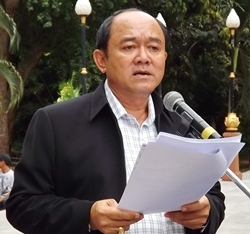 He and Toy served as successive presidents of RCES from 2007-2009, with him taking a post as deputy governor for District 3340. Even as Ryser struggled with serious health problems, he still continued to participate in Rotary functions, always wanting to see projects through to the end. Nongprue Mayor Mai Chaiyanit lays down sandalwood before the cremation. 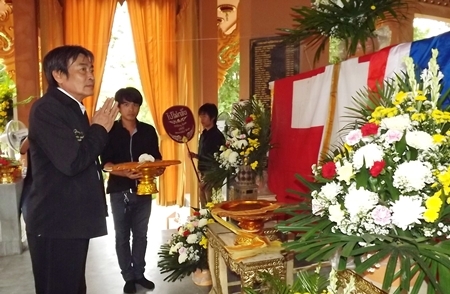 Toy Ryser (3rd right) listens as the monks give her beloved husband a final prayer. Peter Malhotra presents a saffron robe for the departed. Deputy Mayor Ronakit Ekasingh presents a robe dedicated to the departed. Nongprue Deputy Mayor Anak Patanangam, representing the Ryser family, reads the obituary. Stefan’s sister Lotti reminisces about the young man’s life. On Monday April 30, about 50 children of the Child Protection and Development Centre went to Steve Ryser’s house to pay him their last respects. This was just a part of the Buddhist ceremony sponsored by the Human Help Network Foundation Thailand. Thus HHNFT and CPDC wanted to thank him once more for all his efforts and his great support towards the foundation. Family, relatives, friends, members of Rotary Club 3340 and honored guests say their final goodbyes.